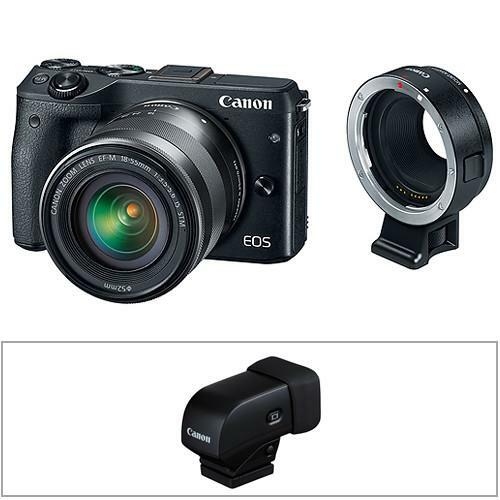 We recommend checking out our discussion threads on the Canon EOS M3 Mirrorless Digital Camera with 18-55mm 9772B011, which address similar problems with connecting and setting up Mirrorless System Cameras Canon. 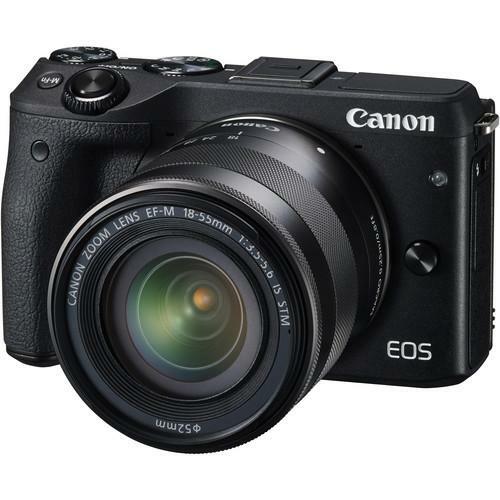 The user manual for the Canon EOS M3 Mirrorless Digital Camera with 18-55mm 9772B011 provides necessary instructions for the proper use of the product Photography - Digital Cameras - Mirrorless System Cameras. 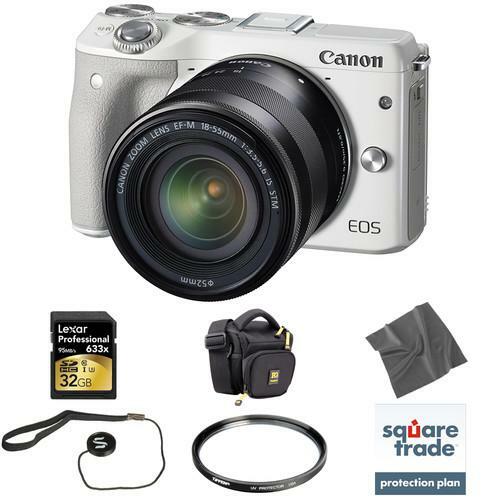 Capture high-resolution images and full HD 1080p video with the compact white EOS M3 Mirrorless Digital Camera with 18-55mm Lens. The M3 features a 24.2MP APS-C CMOS sensor and a DIGIC 6 Image Processor to with an ISO sensitivity range of 100 to 12800, expandable up to 25600. An intuitive 3.0" 1,040k-dot touchscreen LCD allows you to focus and shoot an image with a single tap on the screen. The touchscreen has a ClearView II coating and tilts up 180° and down 45°, making it easy to compose and shoot selfies as well as low-angle shots. The M3 features an advanced Hybrid CMOS AF III autofocus system which focuses up to 6.1x faster than the EOS M in part due to the 49 phase-detect points that cover 80% of the vertical frame and 70% of the horizontal frame. Creative assist allows you to preview camera adjustments in real time, letting you save and share your chosen settings. Additionally, a front dial and an exposure compensation dial permit full manual control over the camera's settings. Built-in Wi-Fi and NFC connectivity make sending and sharing your images an easy task. The included EF-M 18-55mm f/3.5-5.6 IS STM lens provides a 35mm equivalent focal length of 29-88mm. An STM stepping AF motor provides smooth, near-silent performance that is especially beneficial to video recording. An Optical Image Stabilizer helps to compensate for up to 4 stops of camera shake. The lens accepts 52mm filters, and employs a 7-blade diaphragm. 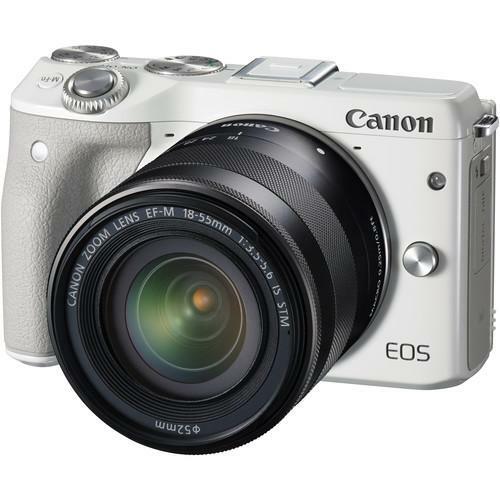 If you own a Canon mirrorless system cameras and have a user manual in electronic form, you can upload it to this website using the link on the right side of the screen. Box Dimensions (LxWxH) 9.4 x 6.7 x 5.6"
The user manual for the Canon EOS M3 Mirrorless Digital Camera with 18-55mm 9772B011 can be downloaded in .pdf format if it did not come with your new mirrorless system cameras, although the seller is required to supply one. It is also quite common that customers throw out the user manual with the box, or put the CD away somewhere and then can’t find it. 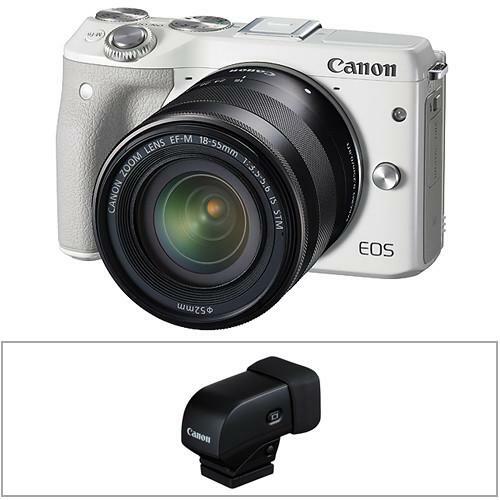 That’s why we and other Canon users keep a unique electronic library for Canon mirrorless system camerass, where you can use our link to download the user manual for the Canon EOS M3 Mirrorless Digital Camera with 18-55mm 9772B011. 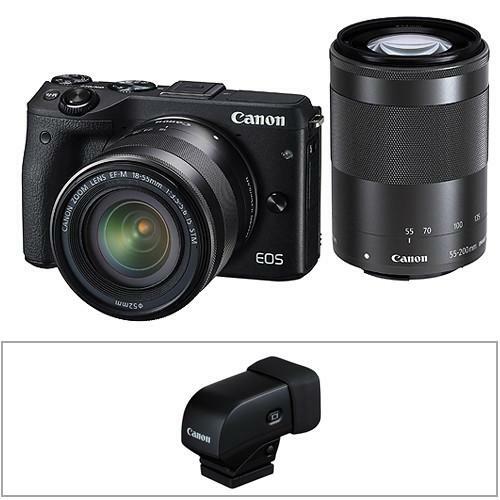 The user manual lists all of the functions of the Canon EOS M3 Mirrorless Digital Camera with 18-55mm 9772B011, all the basic and advanced features and tells you how to use the mirrorless system cameras. The manual also provides troubleshooting for common problems. Even greater detail is provided by the service manual, which is not typically shipped with the product, but which can often be downloaded from Canon service. If you want to help expand our database, you can upload a link to this website to download a user manual or service manual, ideally in .pdf format. 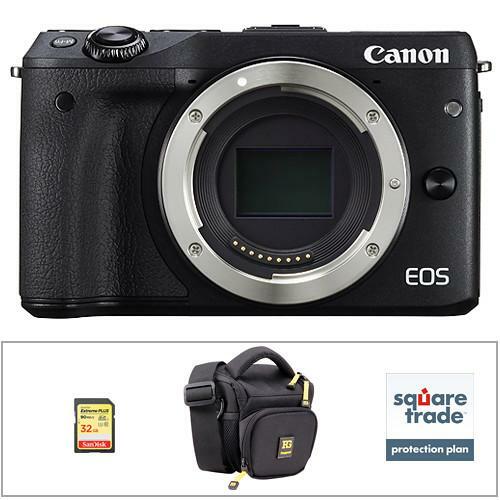 These pages are created by you – users of the Canon EOS M3 Mirrorless Digital Camera with 18-55mm 9772B011. User manuals are also available on the Canon website under Photography - Digital Cameras - Mirrorless System Cameras.